Made with Certified Ultra Premium Extra Virgin Olive Oil, this creamy, dreamy infused olive oil is vegan, naturally infused, dairy free, and heart healthy! It gets its rich, decadent flavor of butter strictly from organic botanical infusions! 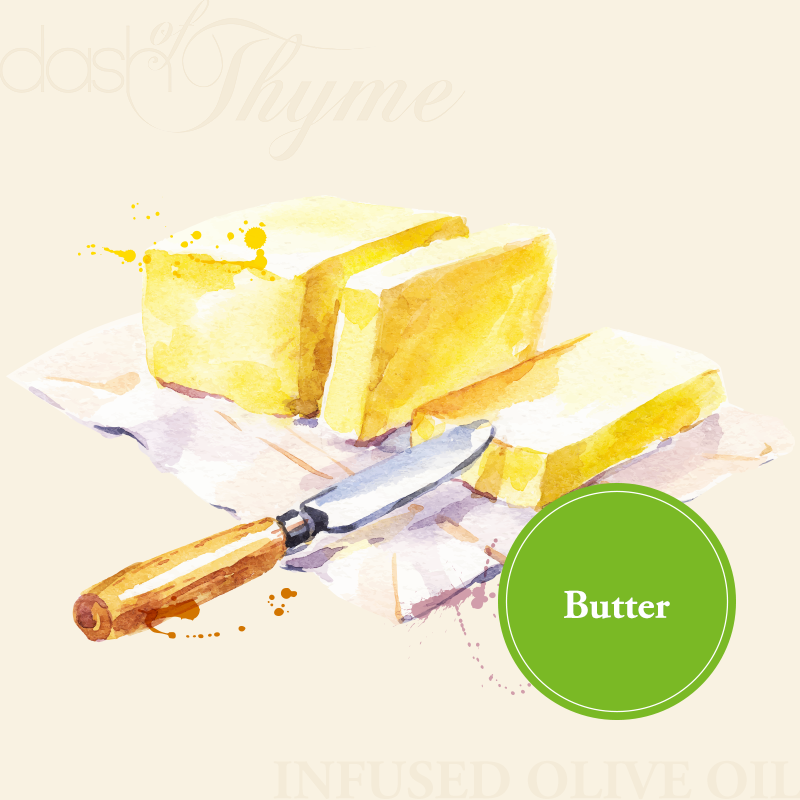 Use this buttery olive oil as a butter substitute in baking, sautéing, or anywhere you might use a liquid fat or melted butter.